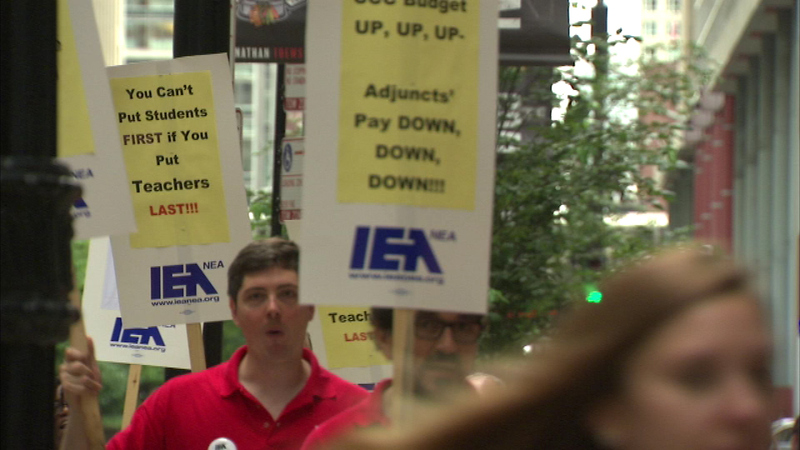 CHICAGO -- Part time faculty and librarians for Chicago City Colleges protested outside City Hall Wednesday to demand a pay raise. The protestors say they have been fighting for a fair contract for more than three years. They are calling on the board to give them a new agreement. City Colleges says it does not comment on contract negotiations.